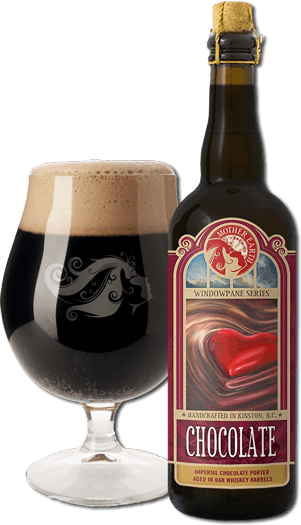 This Windowpane is an imperial oatmeal porter, brewed using cocoa nibs from Videri Chocolate Factory in Raleigh, NC, and aged in oak whiskey barrels for three months. Anticipate aromatics of chocolate, nuts and oak, with a bitter chocolate body mellowing into sweet vanilla notes in the finish. "A super robust porter with a smooth, soft mouthfeel from the oats. Full of big chocolate on the nose and chocolate on the palate."